The World Juniors Tennis Competition for top junior Girls U14 in the region is being held in Santo Domingo. Team Bahamas started competition after the opening ceremonies against the home crowd favorites. They fought but lost to the Dominican Republic. Sierra Rodgers was up first and lost 0-6, 1-6. Kaylee Kanuka followed next and lost 1-6, 2-6. For doubles Jianna Munroe and Kaylee would team up but was defeated 1-6, 1-6. The team fought but did not get the opening win. The Bahamas hopes to make it in the main draw and will have to get a win over Haiti tomorrow.The team is coached by Mr. Jared Turnquest. 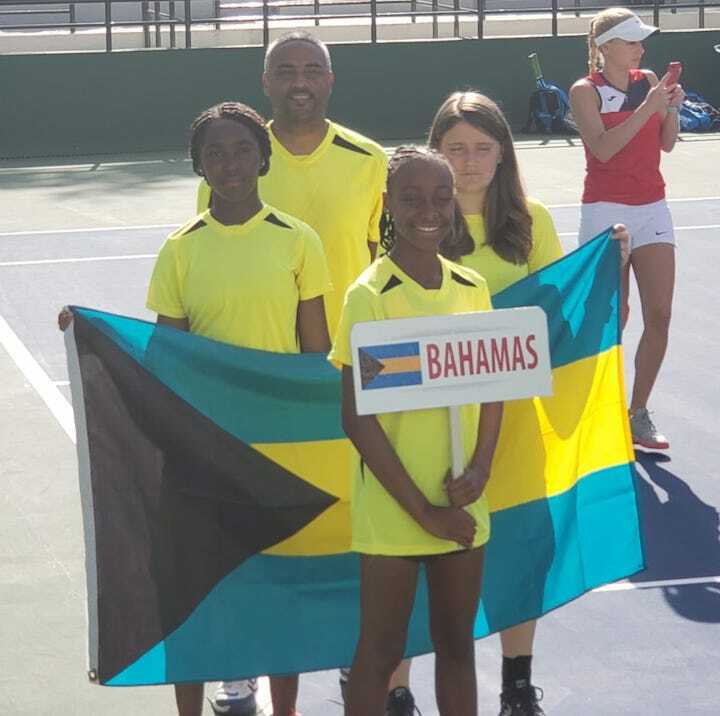 The Bahamas Lawn Tennis Association wishes the team well in matchplay.